While the governor, lieutenant governor and House speaker presented a united front on property taxes Thursday, it’s unclear how they will achieve their plan for education. Gov. Greg Abbott, Lt. Gov. Dan Patrick and House Speaker Dennis Bonnen at the governor's mansion in January. House Speaker Dennis Bonnen, Lt. Gov. Dan Patrick and Gov. 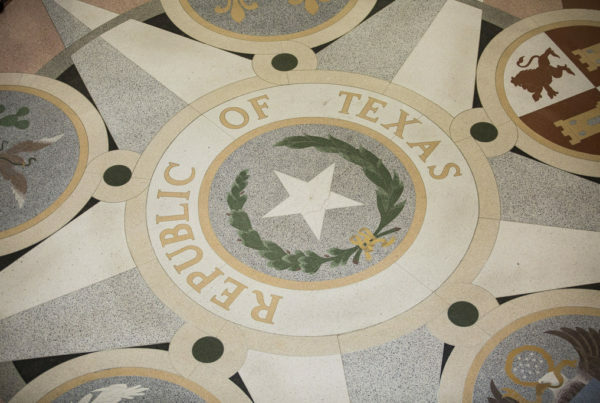 Greg Abbott announced Thursday that their pledge to cap property tax hikes this legislative session. 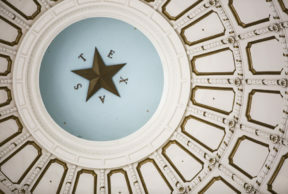 But Ross Ramsey, co-founder and executive editor of the Texas Tribune, says something important was missing from the pronouncement by the state’s “big three – specifics about how their plan will actually work. “The message was about the harmony and how they were all on the same page, and they didn’t get into the specifics of the legislation at all,” Ramsey says. One part of the legislation that Ramsey says could be contentious later in the session is how the cap on property taxes will affect public school funding. Several years ago, Texas used to pay for around 50 percent of the cost to run public schools; today that amount is much smaller. Ramsey says local school districts pay 64 percent of the expense through property taxes, and the state pays for the rest. The question is how Texas’ big three will achieve their school finance agenda while at the same time achieving the cap on property tax hikes. Ramsey says their strategy is to reign in property taxes first, and then see how the state can help more with education spending. But Ramsey says it’s not clear where the money to pay for schools will come from. During the last legislative session, local education and political leaders pushed back on property tax hikes, claiming the state was asking too much financially from municipalities, and that the state wasn’t contributing its fair share, Ramsey says. But now Ramsey says like last session, lawmakers face the same problem of how to come up with that money.